Clean Carfax! 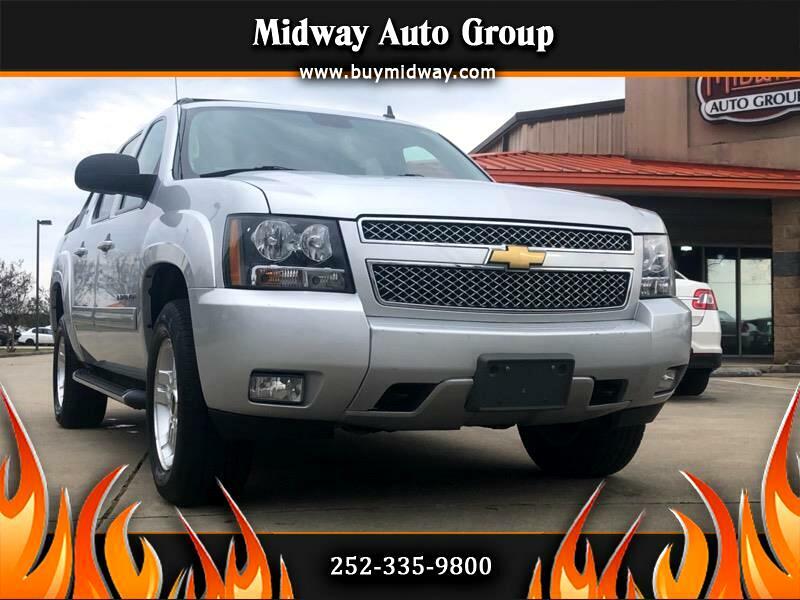 If you need the 6-passenger capacity of an SUV, but the stuff you regularly haul behind the seats is frequently dirty or dripping something you'd rather not clean up, the 2012 Chevy Avalanche truck is the vehicle for you. Tow rated up to 8,100 pounds – 7,900 with 4-wheel drive (4WD) – the Avalanche is the perfect companion to all of your big toys. While it isn’t available in multiple bed and cab configurations, test drivers said the 2012 Chevrolet Avalanche has a comfortable ride and composed handling. The 2012 Avalanche has a standard V8 engine and six-speed automatic transmission, and when it was new, test drivers agreed that there is sufficient power in most driving situations. The Chevy Avalanche earns an EPA-estimated 15/21 mpg city/highway, which is similar to what other full-size trucks get. Reviewers were impressed with the 2012 Avalanche's comfortable ride and composed handling. They added that it offers good steering feel, though others noted that blind spots can make the Avalanche challenging to maneuver in close quarters. Test drivers said the 2012 Chevrolet Avalanche has an attractive cabin built with a mix of upscale materials and hard plastics. They noted that the front seats are comfortable and supportive and that the rear seats are spacious. Rather than a traditional truck bed, the Avalanche has a shorter bed that can be expanded by folding the rear seats and lowering the midgate at the back of the cabin, which expands usable bed space to about 8 feet. The Avalanche comes standard with satellite radio, a six-speaker audio system, Bluetooth and a USB port. Available features include dual-zone automatic climate control, a Bose stereo system, a rearview camera, rear parking sensors, navigation and a rear-seat entertainment system.